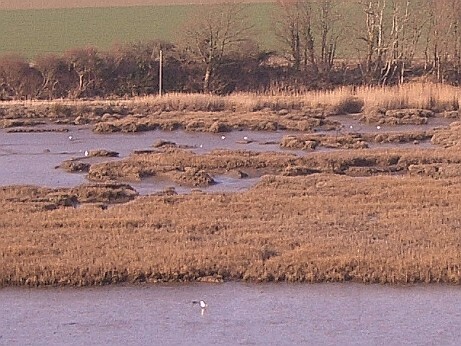 Salt marshes forms in coastal areas that already have mud flats. 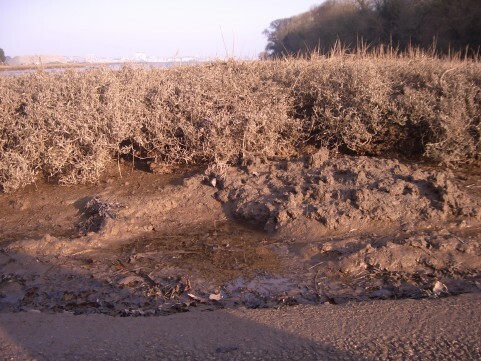 They usually form in areas that are well sheltered, such as creeks, inlets and estuaries where fine sediments can be deposited. They also form behind spits and artificial sea defences where tidal waters can flow gently and deposit fine sediments. Salt marshes are exposed at low tide and at least partially flooded at high tide, so only salt resistant forms of vegetation can grow there. They are typically very flat, with numerous muddy channels and creeks cutting through them, making them very dangerous places to be as the tide comes in. The picture above shows just how flat a salt march can be. This one, on the South Coast in the UK, is well established but subject to erosion due to tourism. The many creeks are popular with wildlife lovers, boaters and walkers so it is necessary to fence off and protect some areas. There is a conflict of interests between different useres of the landscape; not an uncommon problem in the modern countryside.